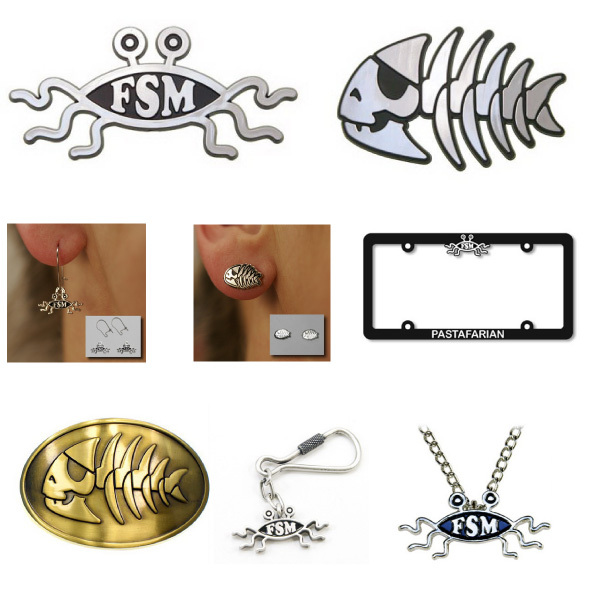 Ring of Fire is the source for FSM Fish and Pirate Fish car emblems, keychains, earrings and many other original Pastafarian products. I talked with Nona @ Ring of Fire and there is still time to receive your orders this Holiday season. See all the above products and more here. The delivery, to New Zealand, from ROF was really rapid. It’s kind of like a cross for us, isn’t it?